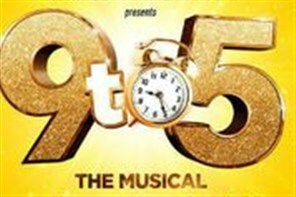 Based on the 1980 hit movie starring Dolly Parton, 9 to 5 The Musical is coming to London after a UK tour and London Fringe Premiere. With the characters you loved from the film, songs (music and lyrics) by Dolly Parton herself, and a book by Patricia Resnik 9 to 5 tells the story of 3 working women who find their voices and take control. Dolly Partons Oscar, Tony and Grammy Award nominated score comes to life on stage.